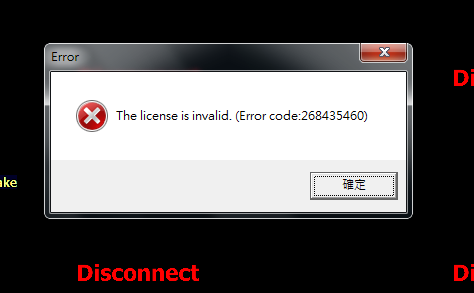 After restarting Mainconsole, an error message "The license is invalid. (Error code: 268435460)" will pop up. 1. Computer specific information has been changed, e.g. hardware replacement or OS re-installation. 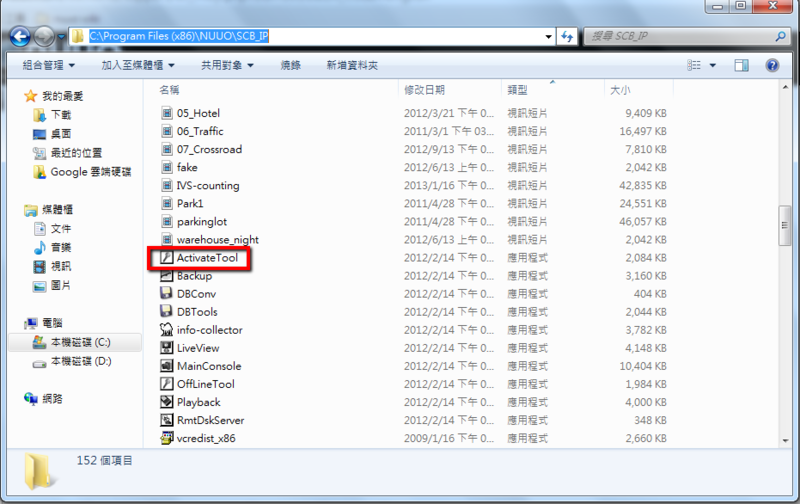 User has changed hardware information such as, motherboard, RAM, CPU, HDDs, OS and/or network adapter... etc. 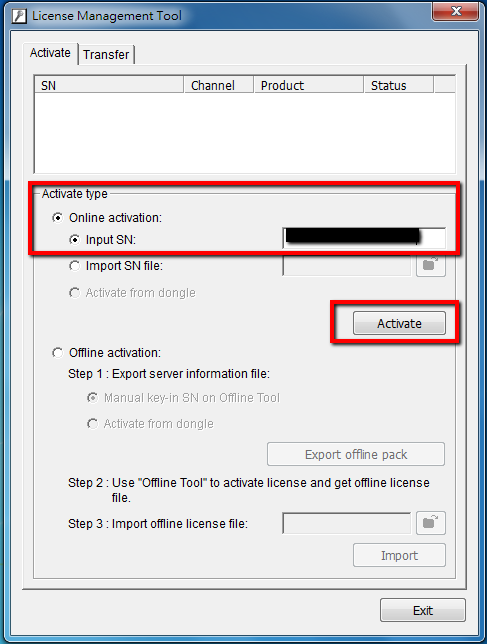 Activating your license(s) using wireless LAN card or 3G connection can also result to this issue. Per this cause, kindly refer to Solution 1. 2. 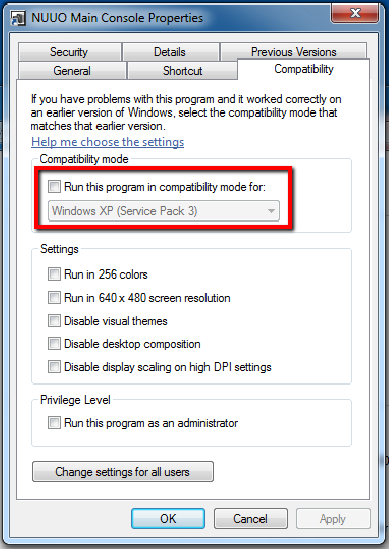 If Mainconsole is executed in compatible mode, it will also result to this issue. Kindly refer to Solution 2. 3. The OS installation is based on RAID configuration and Mainconsole cannot get the correct FingerPrint information. Kindly refer to Solution 3. 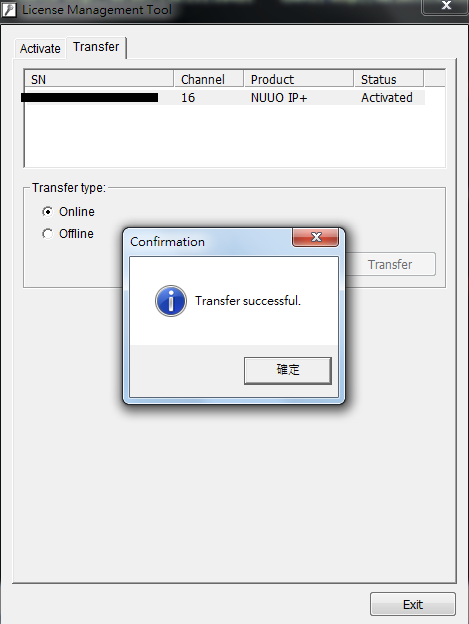 Step 1: 在安裝資料夾下(一般為 'C:\Program Files (x86)\NUUOSCB_IP') 中尋找"ActivateTool"
---> we'll guide you in this article "How to do the Offline Transfer"
請參閱此篇進行離線轉移操作 "How to do the Offline Transfer"
a. 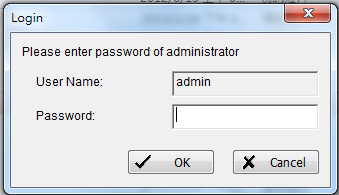 Double click on "ActiveTool" and a login message for Mainconsole will pop up. b. 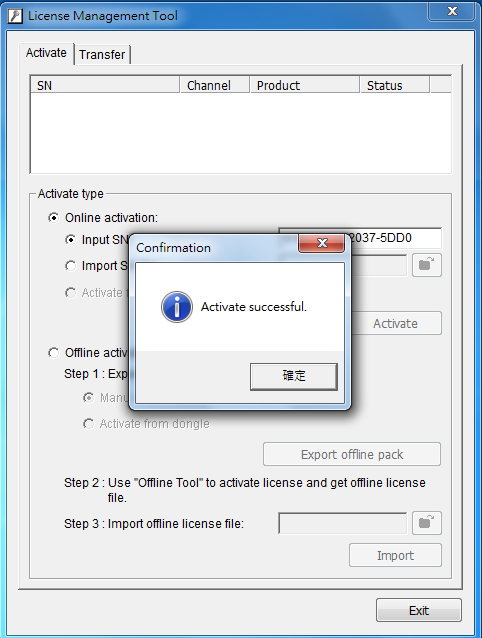 After login, a "License Management Tool" window will open. 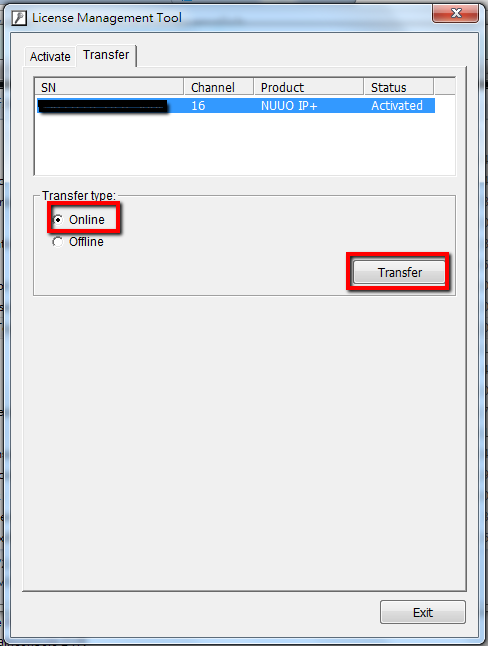 Input your licenses, choose "Online" and then click "Transfer". Step3: Active all your serial numbers again. a. Open your Mainconsole again and click "Yes" to the message registering your licenses. If the issue persists please, contact us express@nuuo.com . To avoid license activation failure, do NOT build RAID configuration on the operating system partition. I tried to fix by both solutions: transferred license then re-activated and unchecked compatibility mode but both of them don't work. My I have updates on this please? 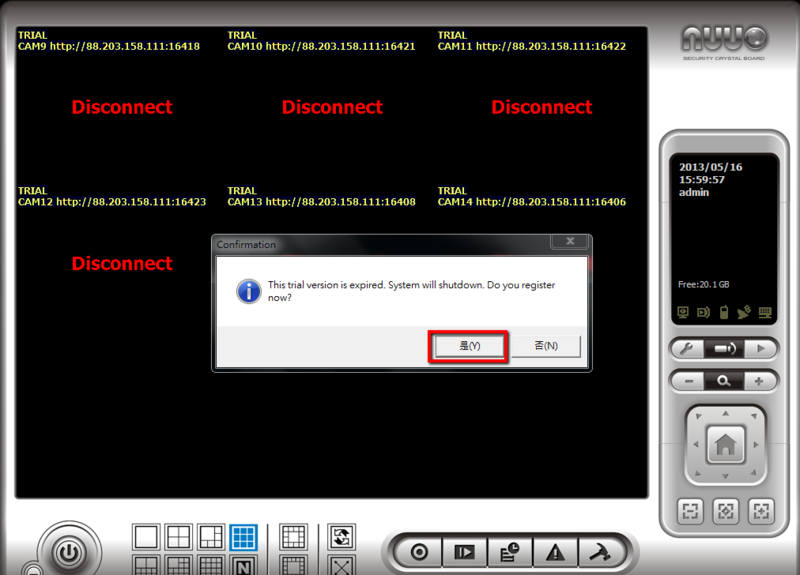 I used another license for IP camera (SCB-IP-STD 01) but issue still happened as following: I activated license successfully then it required to restart Main Console program, after the program restarted I could be able to view camera without any errors, after 1 day when I turned on my PC and run the program and then error appeared (The license is invalid. (Error code 268435460)) then program automatically closed. [Mainconsole] How to retrieve license from USB dongle?